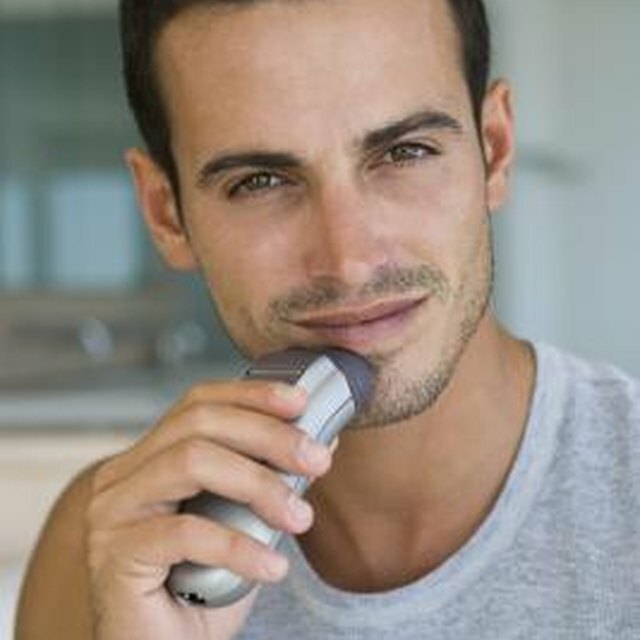 Sanitize your electric razor at least once a month. 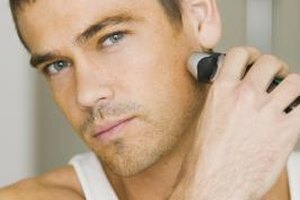 Zipping along with an electric razor is a quick alternative to wet shaving with a disposable razor. Unlike a disposable razor, your electric razor doesn’t get tossed in the trash after every few uses. It’s important to clean and sanitize the electric razor to remove hair buildup, dead skin and bacteria that can accumulate on the blades. Proper sanitizing will help to ensure the razor functions properly and that bacteria isn’t being spread to your skin. Switch the razor off and unplug it from the electrical source. Remove the razor head from the body of the razor. Refer to your owner’s manual for instructions as to how to remove the head, as this will vary among models. Brush all loose hair from the blades and the head of the razor using a toothbrush or the cleaning brush that came with your razor. Avoid brushing the screen directly. It is fragile and can be easily damaged. Open the shaving unit of the razor to expose the cutter, usually located under the screen. Refer to your owner’s manual for specific instructions regarding how to expose the cutter. Brush out the cutter to remove the loose hair. Moisten a cotton pad with isopropyl alcohol. Carefully wipe each of the blades with the alcohol pad. Replace each dirty pad with a clean pad, and use more alcohol. Wipe the underside of the razor head with a clean alcohol-soaked cotton pad. Use a clean pad to wipe down the cutter. Sit the razor and razor head on a clean towel to air-dry completely before you reassemble the razor.